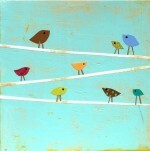 Marketing experts are always looking for engaging, attention-grabbing tweets. it’s not always easy squeezing a full marketing message into 140 characters or less, it can be a huge challenge-especially when you have lots to say! www.pardot.com has made an infographic called “Best Practices for Shorter Tweets” giving you tips to get the most out of short but sweet tweets. Twitter is one of the preferred choices of social media engagement for many businesses but social media networking can at times be a challenge to master. When creating a tweet, think short and sweet. 1. Find shorter words to use with tools like Thsrs. This site/plug-in acts like a regular thesaurus, helping you with shorter words to use-leaving you more room for tweeting. 2. “And” is a short three letter word but there are symbols around to replace it. Use an ampersand (&) or plus sign (+) to save two characters. 3. “That” and “the” can kill an effective tweet. Try to avoid using these words when you can. 4. Bitly produces a shorter tweet link, allowing more room for your tweet … use it! 5. Use numbers instead of spelling out a number. 6. Contractions are your friend! As long as it still conveys the intended message, use contractions like can’t, won’t, and don’t! 7. Replace words with easy to recognize twitter friendly alternates where you can but, try to avoid coming over like a text friendly teen. 8. Find out about those Twitter abbreviations. Words like “retweet” are easily recognized as RT, and w/ instead of “with”. Using sparingly they can help you keep the core message of your tweet intact. Here’s the plug for Pardot …. 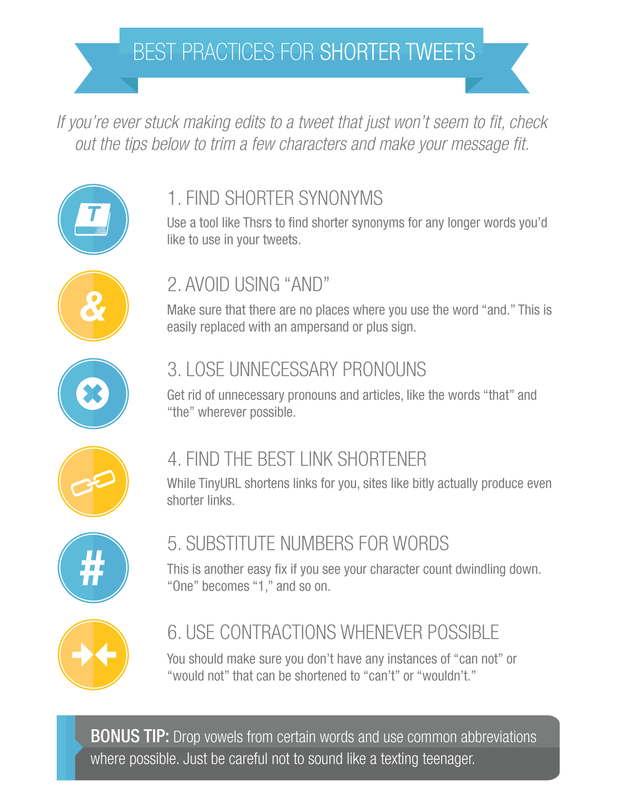 Feel free to like, share, and comment on this infographic entitled “Best Practices for Shorter Tweets” by www.pardot.com! Pardot provides SAS email and lead generation services for SME businesses looking to have these services managed and possibly intergrated into their existing CRM systems such as SalesForce and SugarCRM.